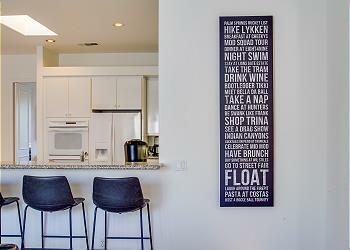 Ask any traveling pet owner and they’ll tell you at least one or two horror stories where they either had to leave their best furry friend behind at home during (what would have been) an awesome vacation or having to settle for less-than-stellar accommodations simply because they didn’t want their pup to miss out on the fun. 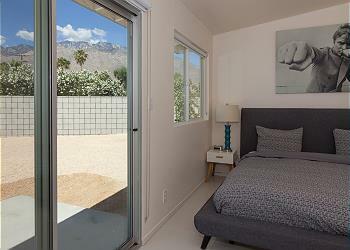 Fortunately, we believe in providing the ultimate standard in Palm Springs lodgings, no matter whether you’re traveling with your dog or not! 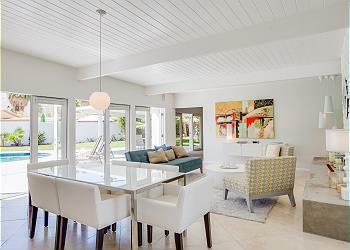 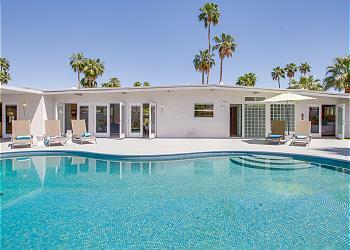 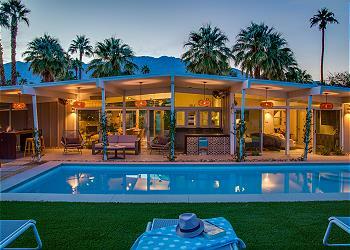 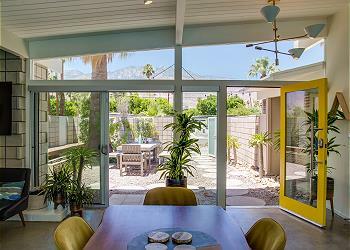 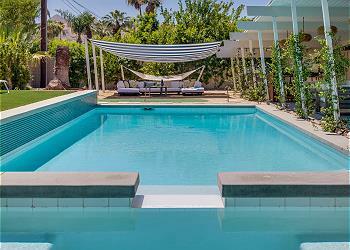 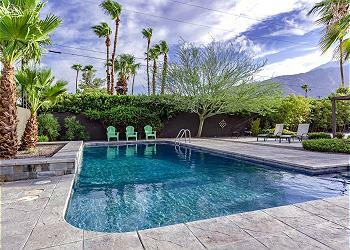 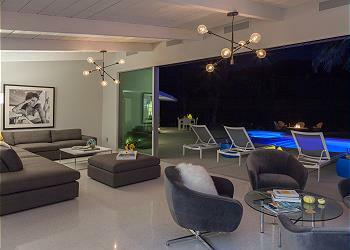 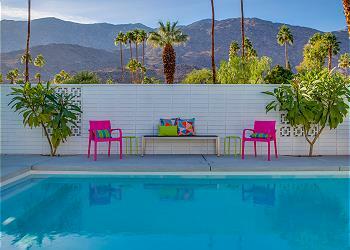 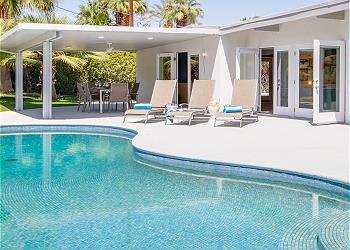 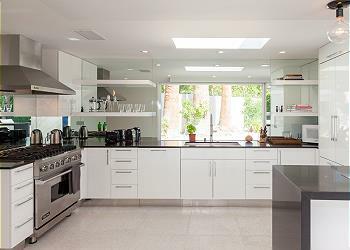 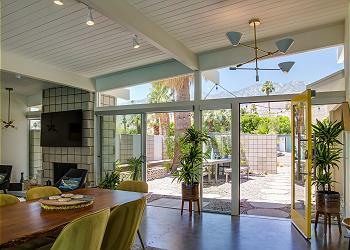 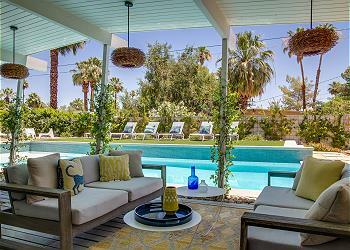 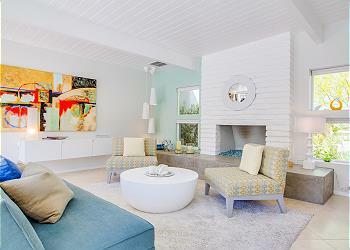 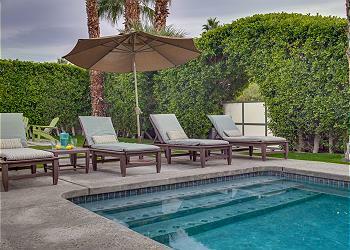 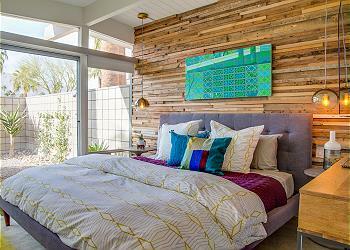 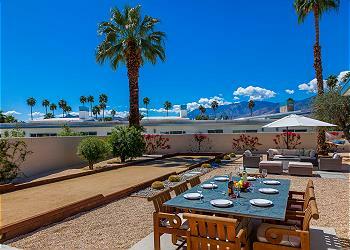 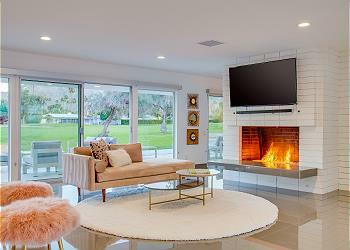 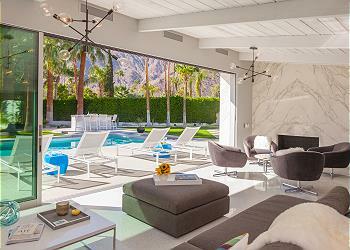 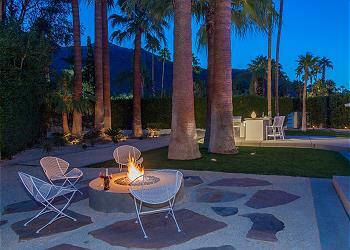 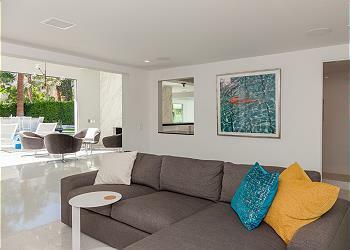 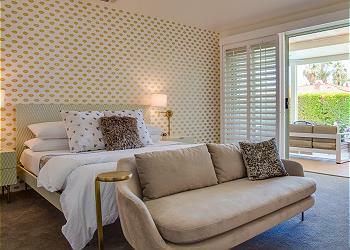 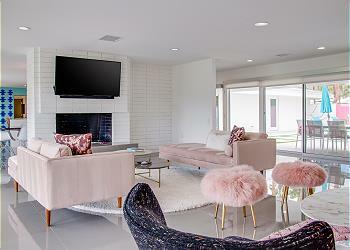 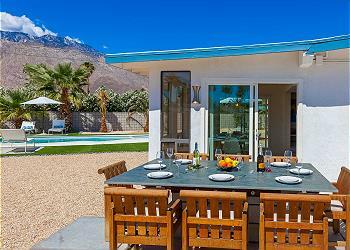 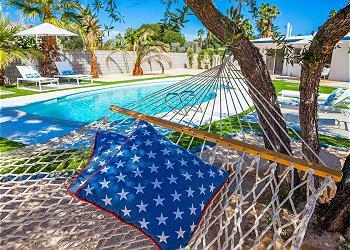 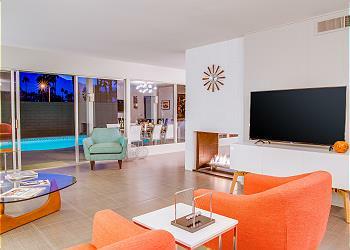 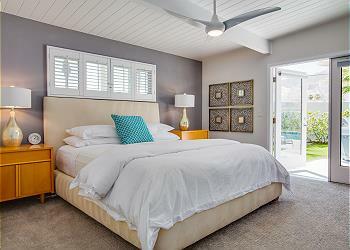 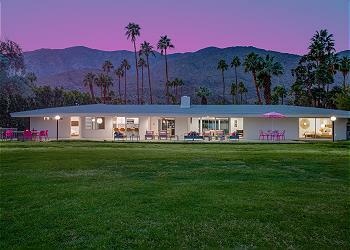 Browse through our incredible pet friendly vacation rentals in Palm Springs by clicking through the properties below! 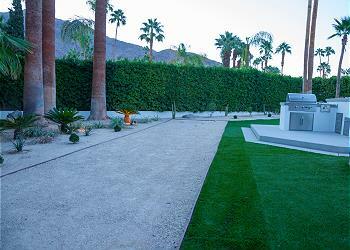 Palm Springs and the surrounding area have a plethora of pet friendly attractions and activities that you and your pooch can enjoy together during your time here! 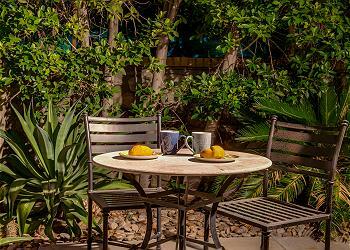 From dog friendly restaurants with mouthwatering food for you to share to lush dog parks, challenging hiking trails, and more, there is no shortage of recreation and sightseeing that the two of you can enjoy! 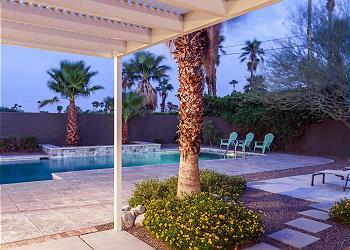 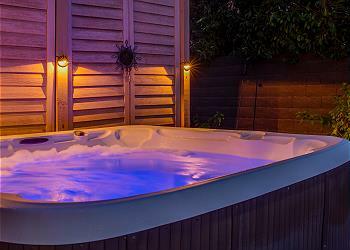 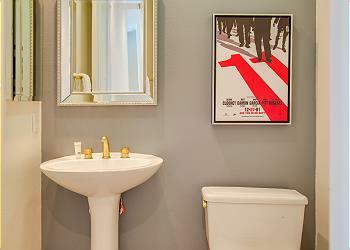 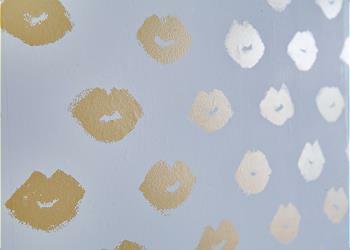 When you’re planning your trip to Palm Springs with your dog, make sure that you have a clean, comfortable, and cozy place to come home to after a long and exciting day. 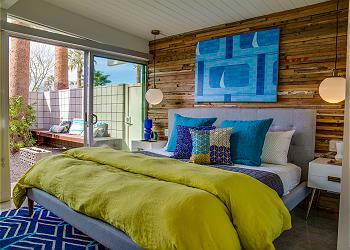 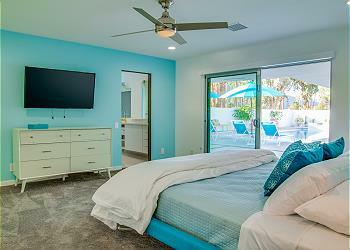 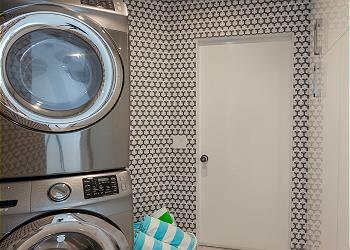 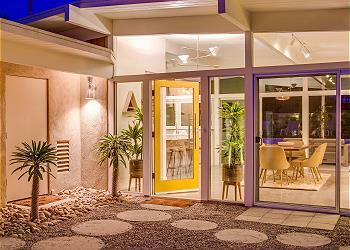 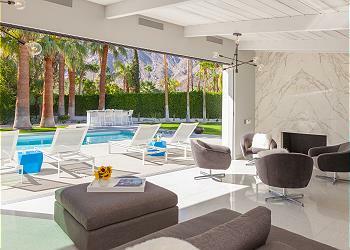 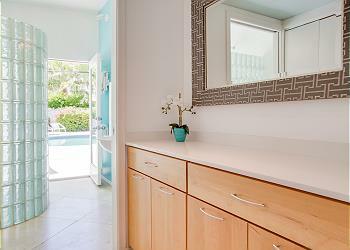 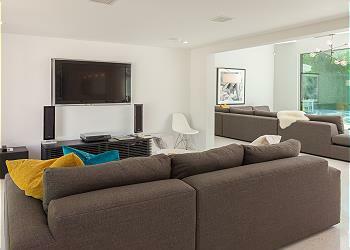 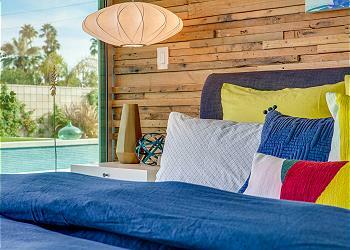 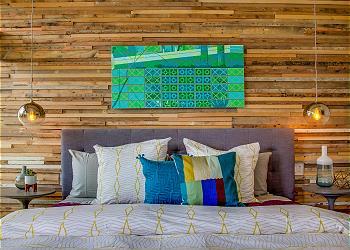 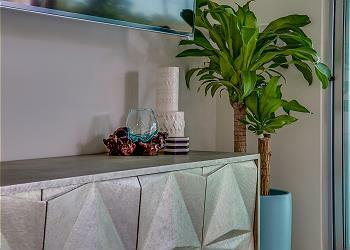 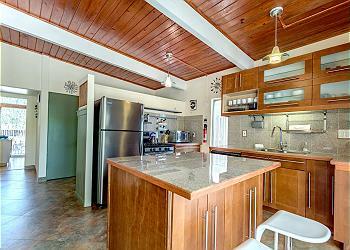 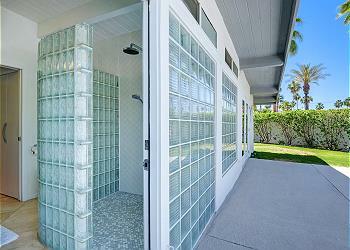 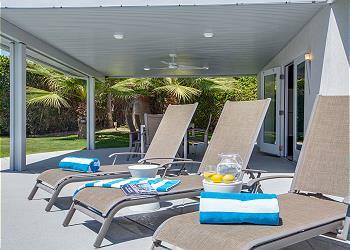 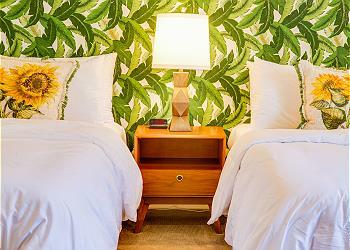 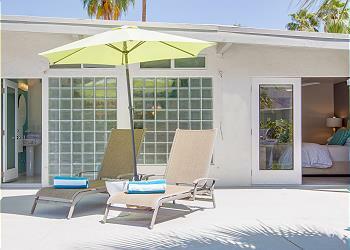 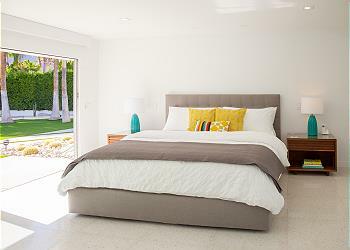 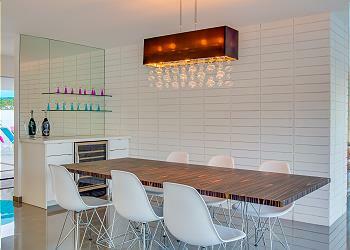 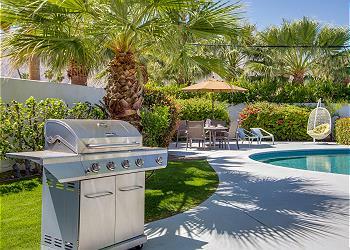 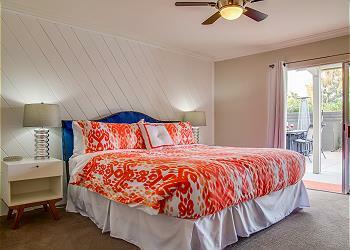 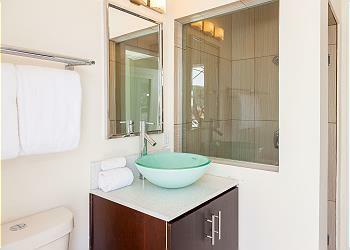 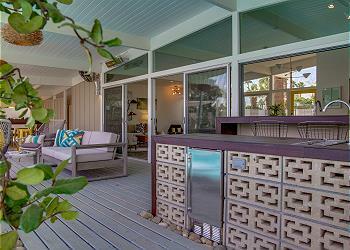 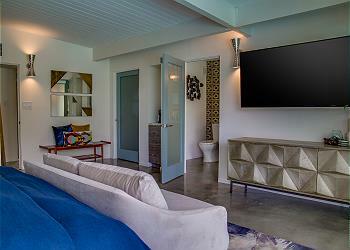 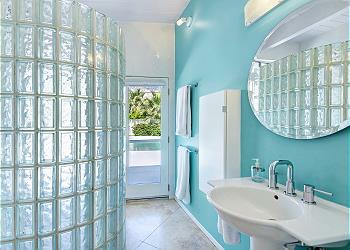 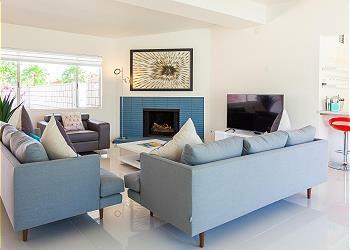 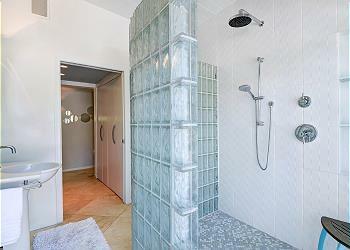 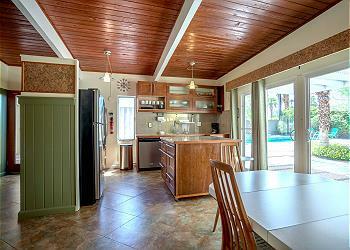 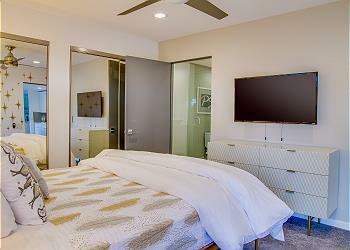 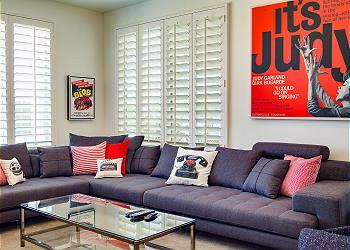 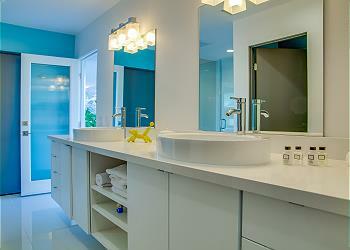 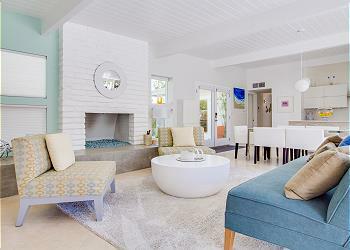 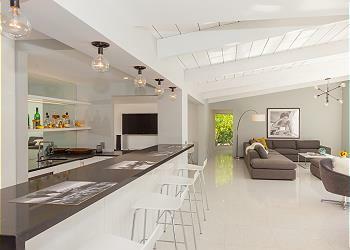 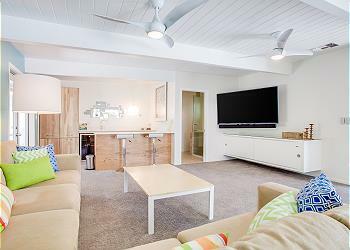 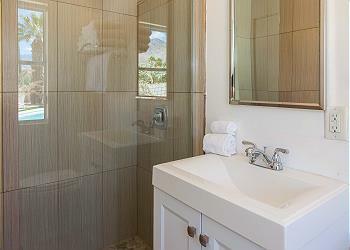 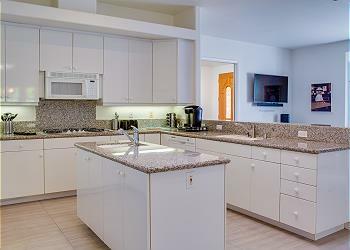 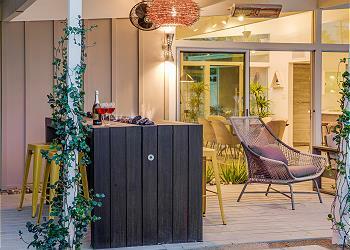 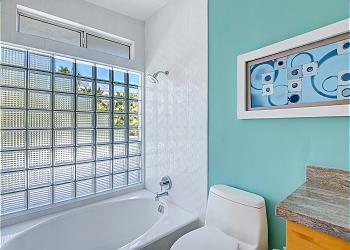 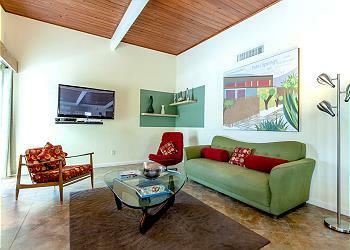 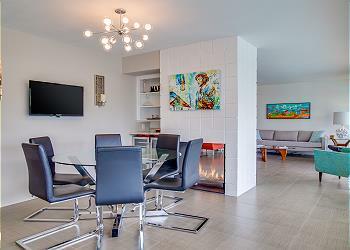 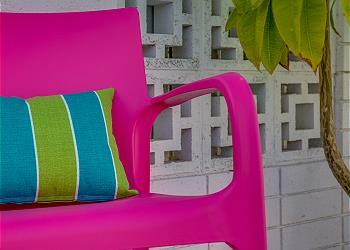 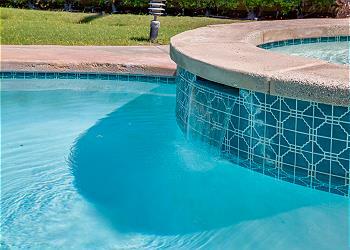 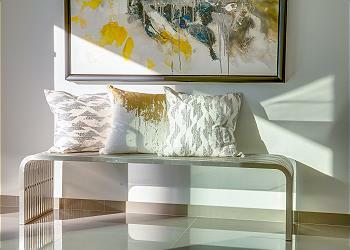 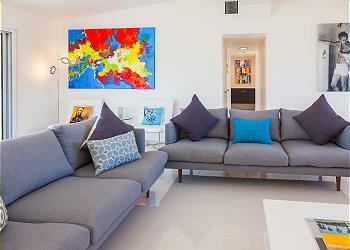 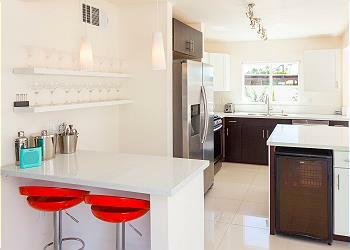 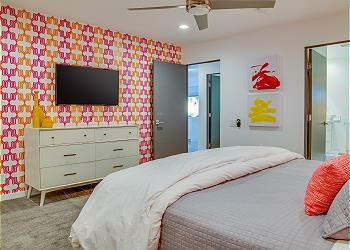 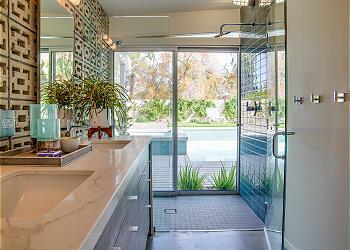 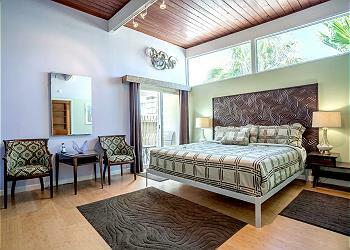 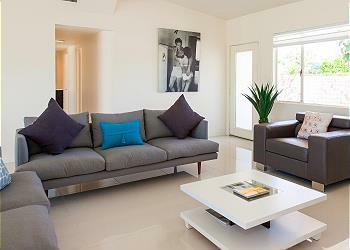 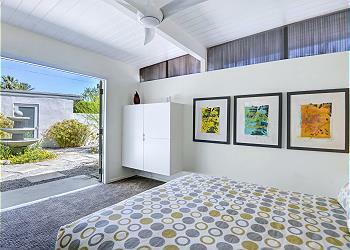 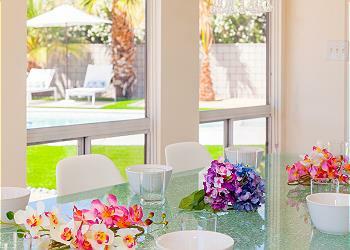 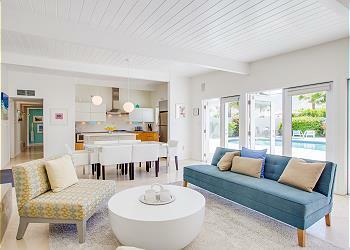 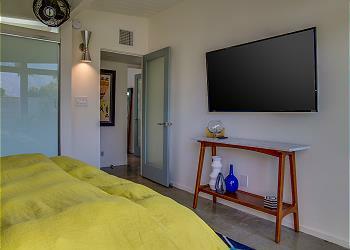 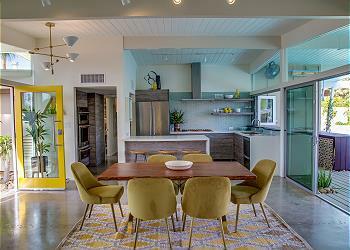 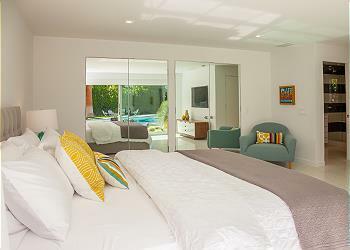 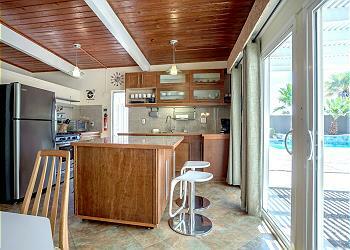 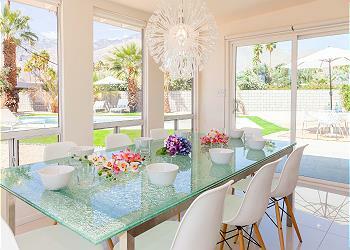 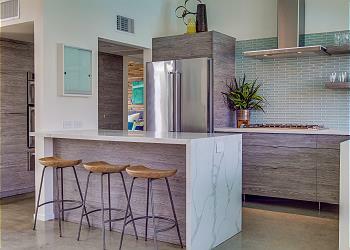 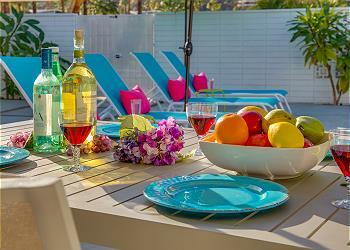 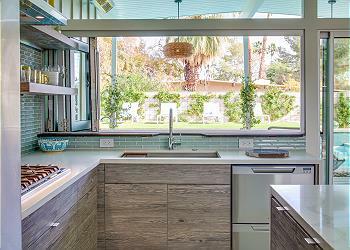 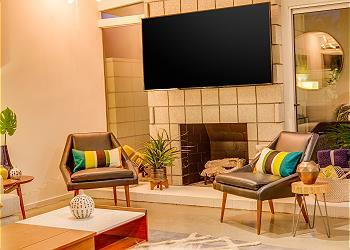 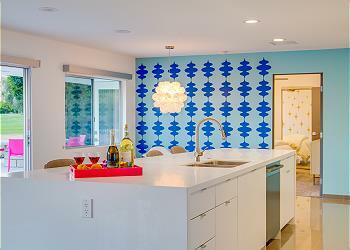 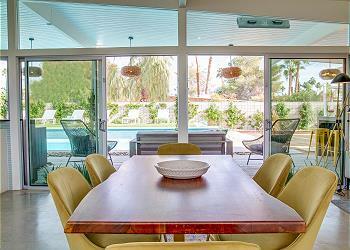 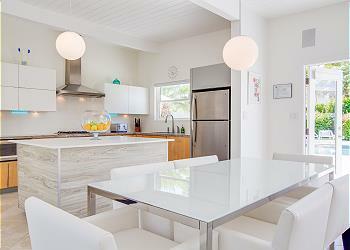 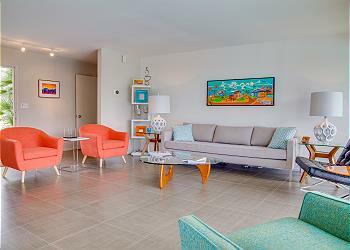 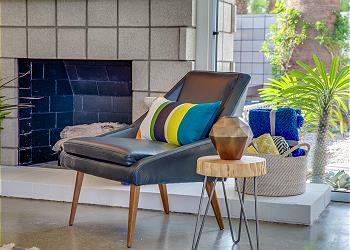 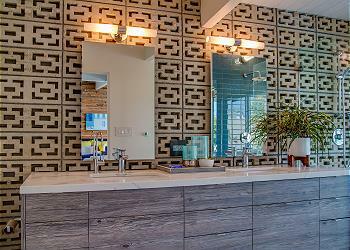 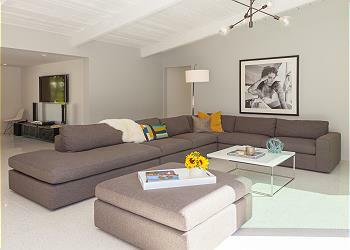 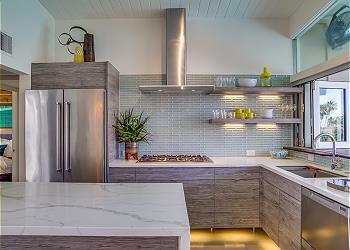 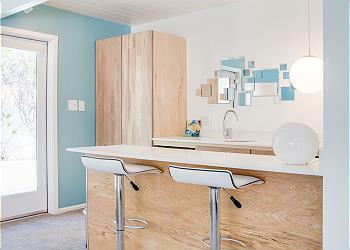 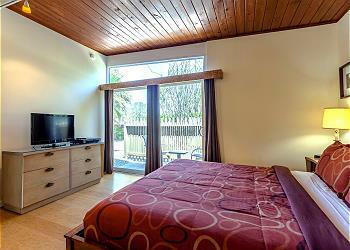 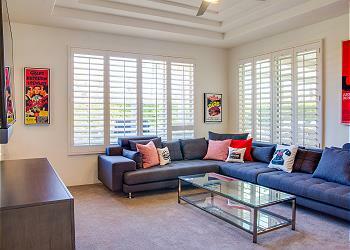 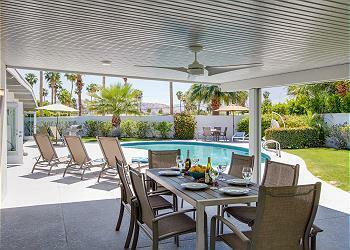 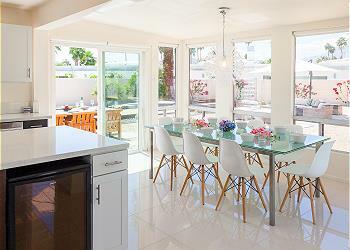 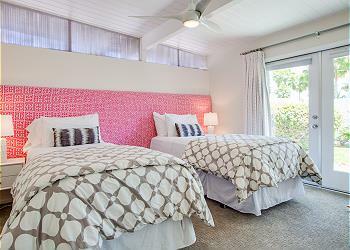 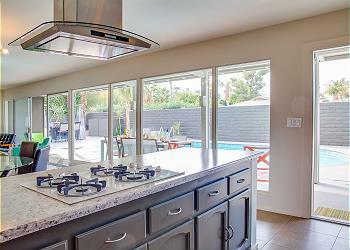 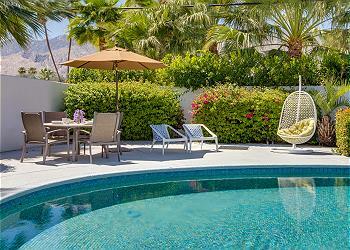 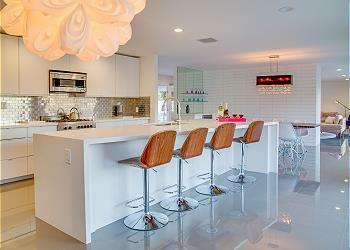 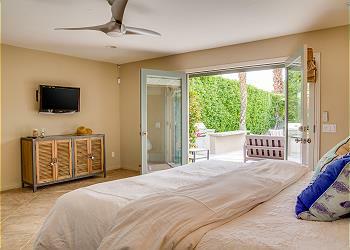 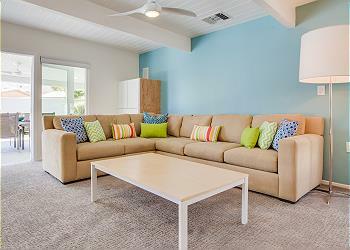 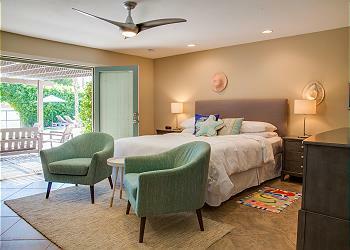 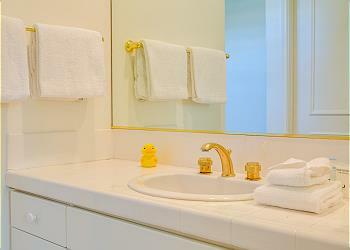 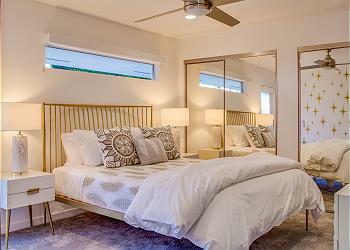 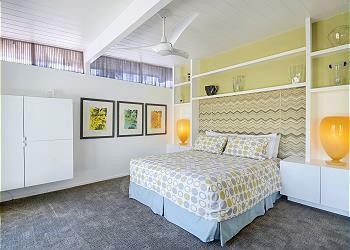 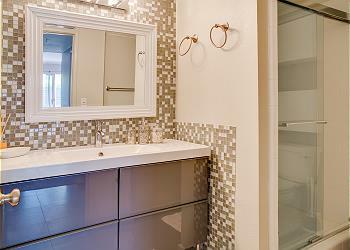 From sleek condos to breezy homes, we have a range of pet friendly Palm Springs vacation rentals to suit your needs. 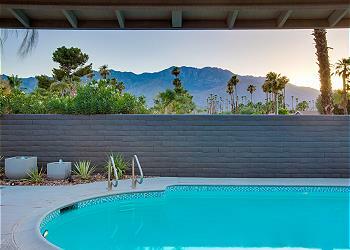 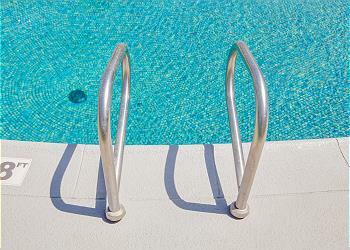 Pick out a property with private or community pool access and take refreshing dips on those famously warm and sunshine-drenched desert days. 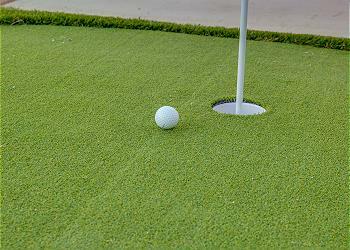 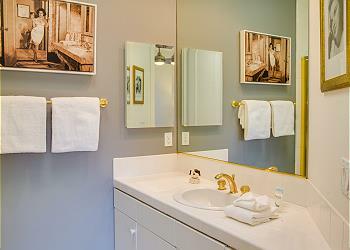 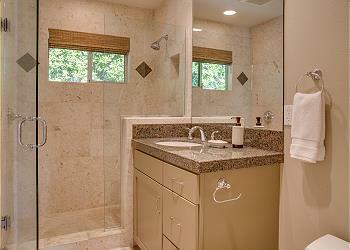 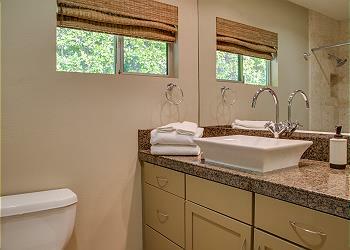 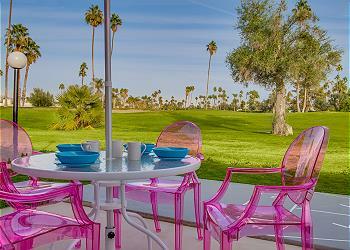 Choose a place right on the golf course for immaculate greenery and lovely walking paths. 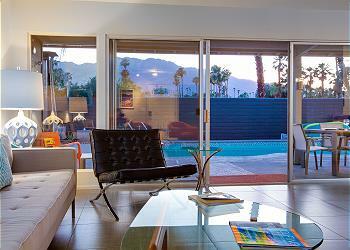 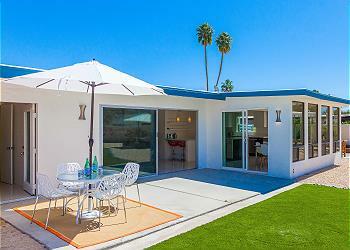 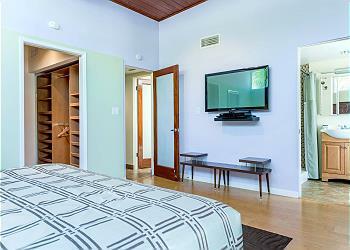 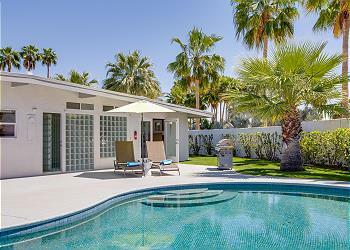 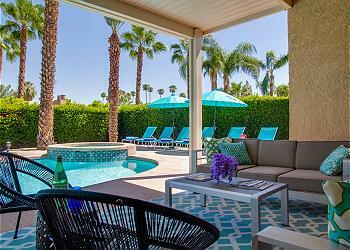 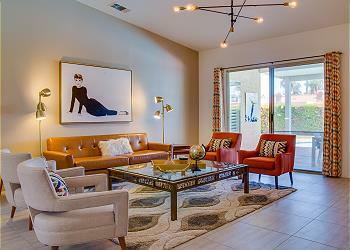 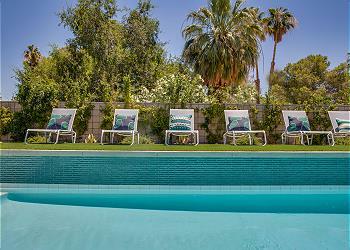 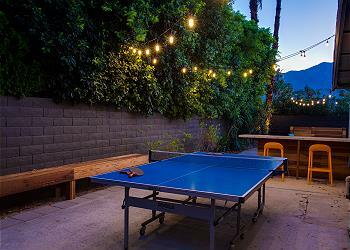 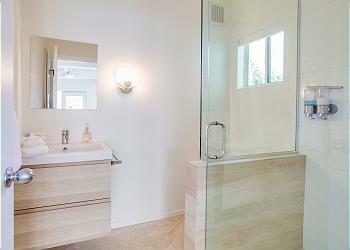 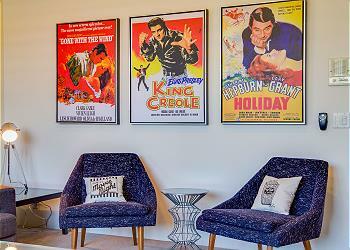 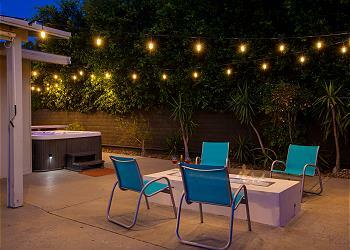 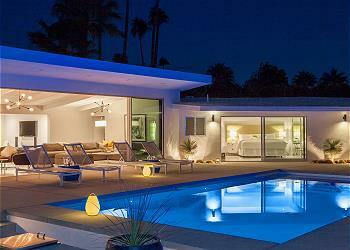 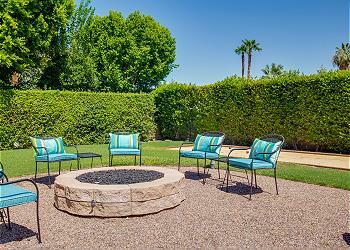 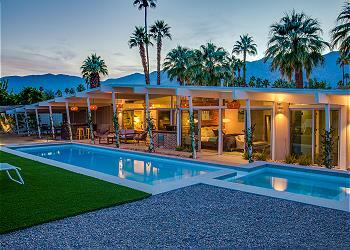 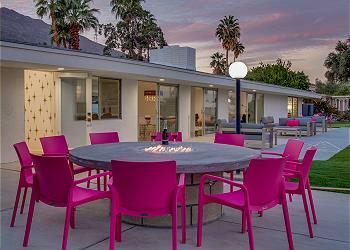 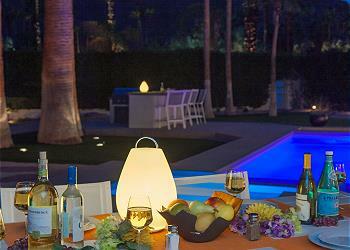 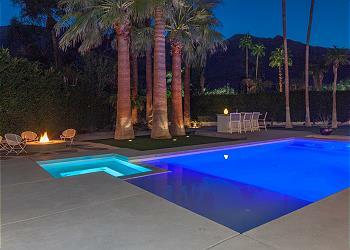 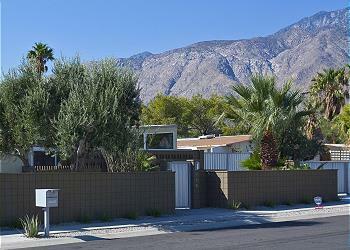 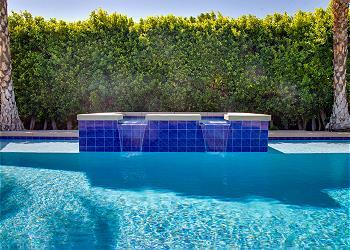 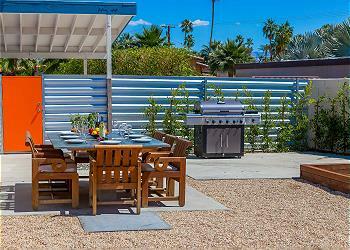 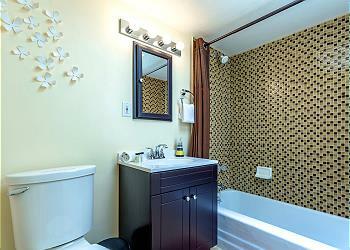 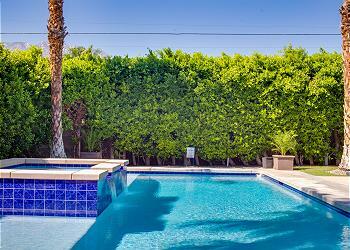 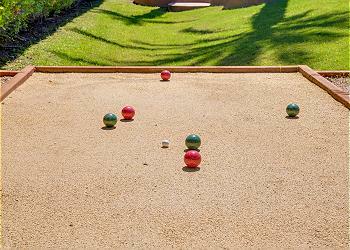 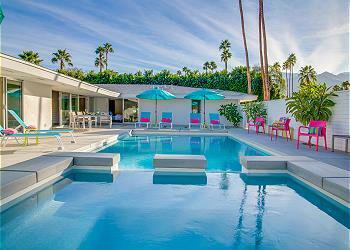 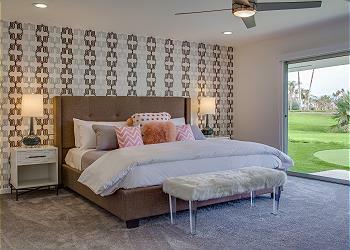 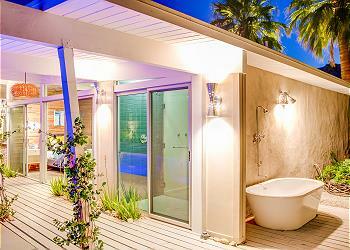 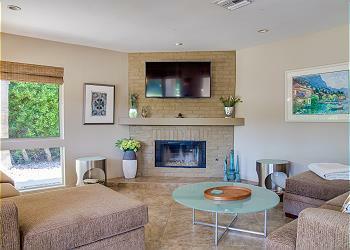 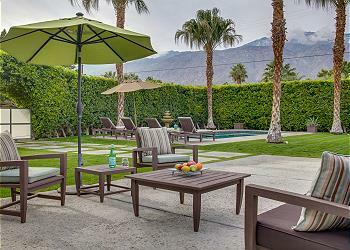 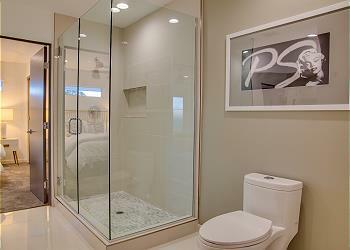 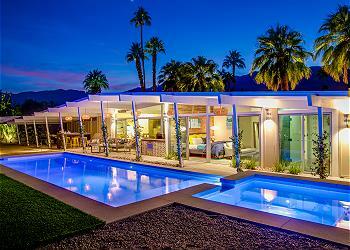 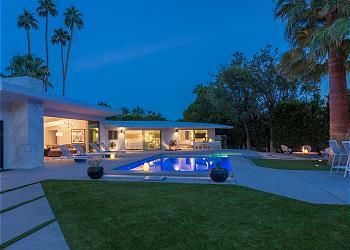 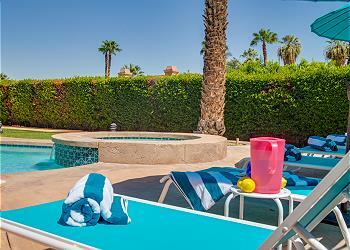 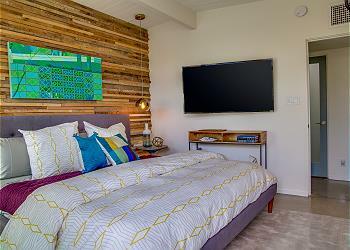 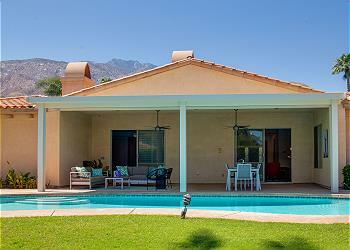 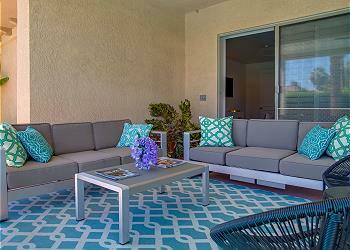 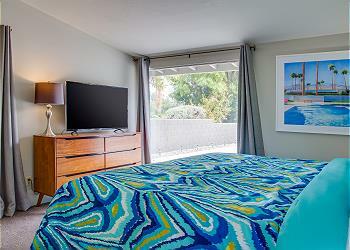 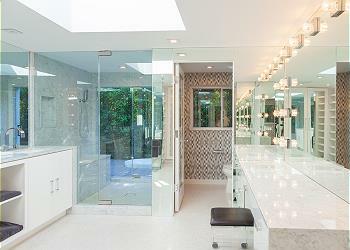 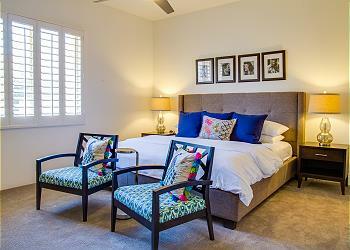 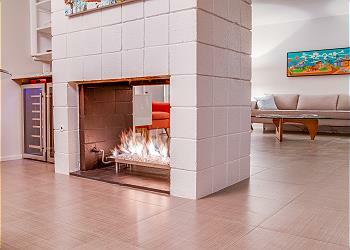 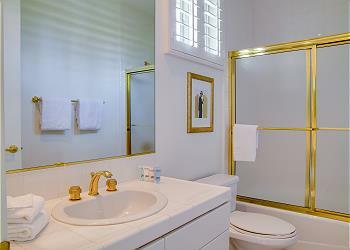 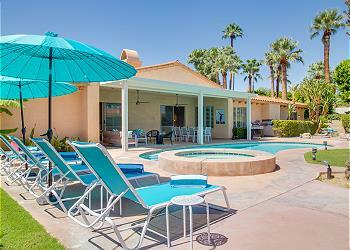 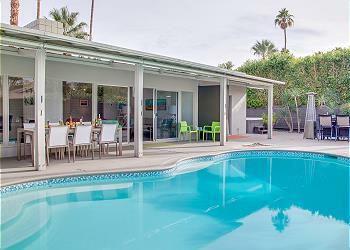 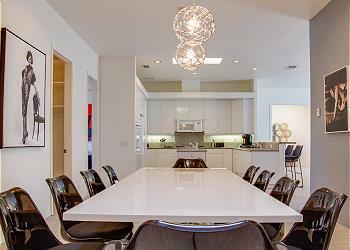 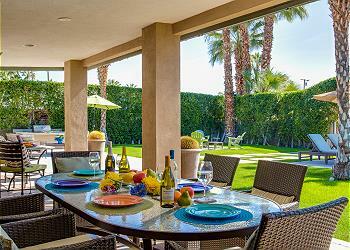 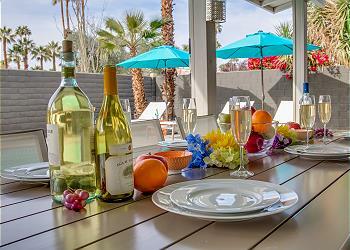 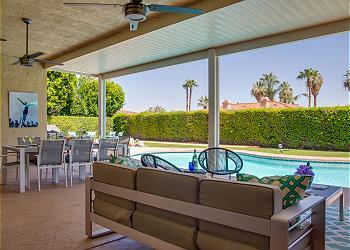 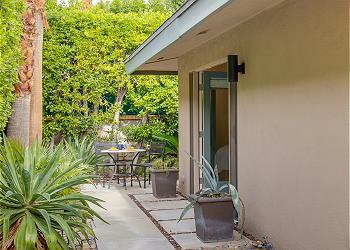 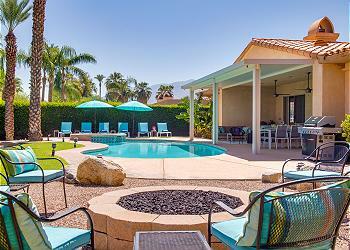 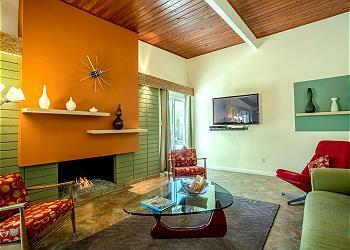 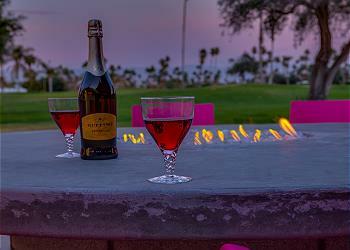 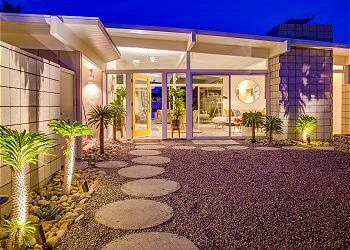 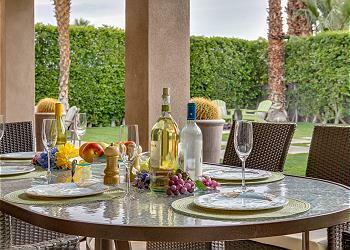 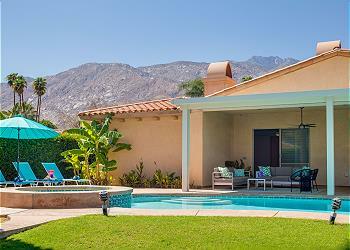 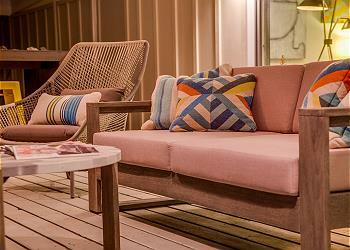 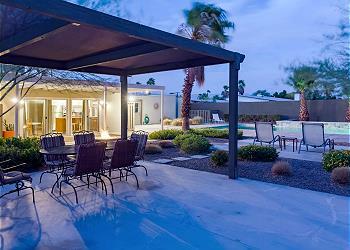 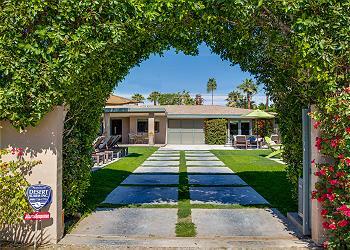 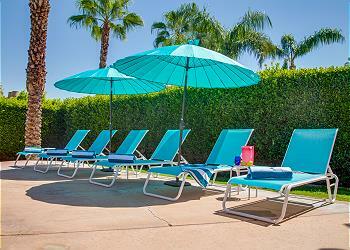 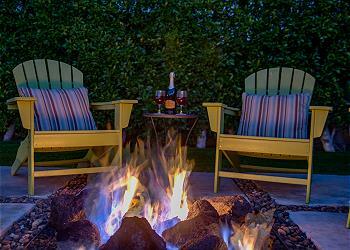 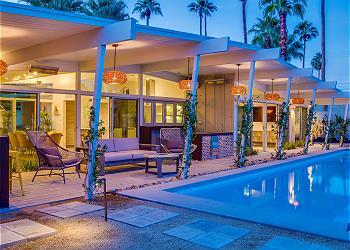 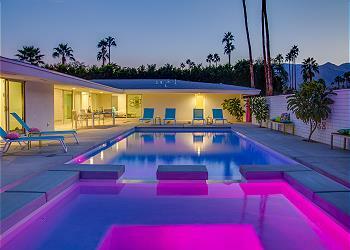 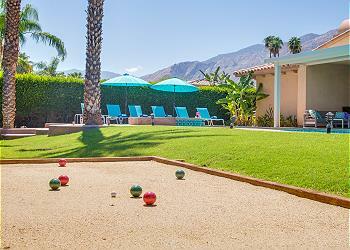 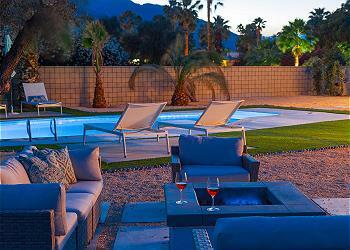 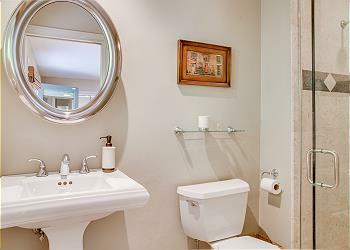 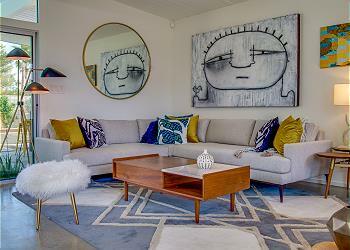 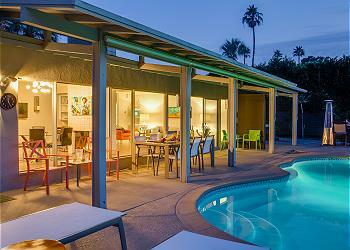 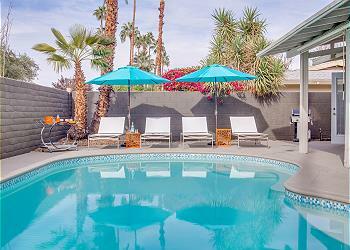 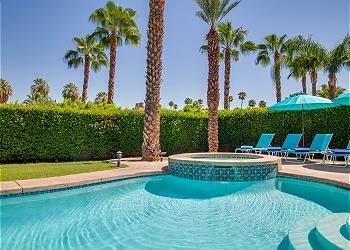 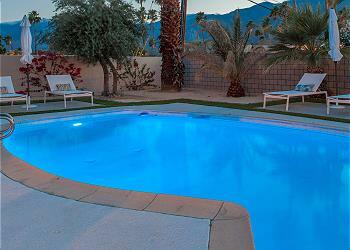 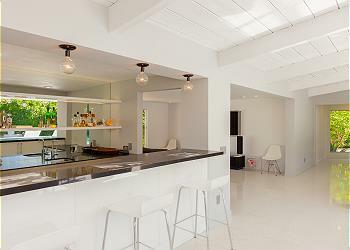 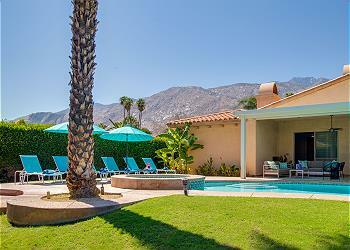 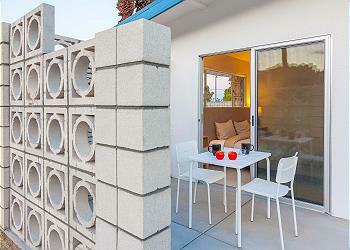 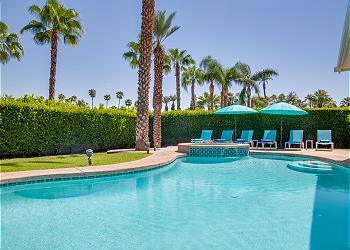 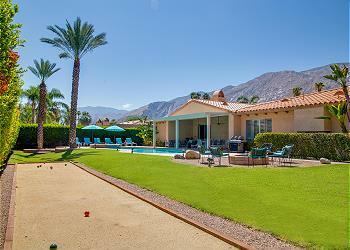 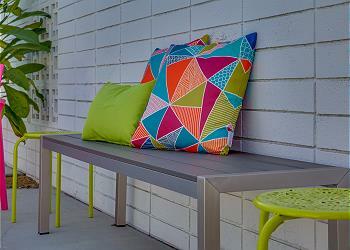 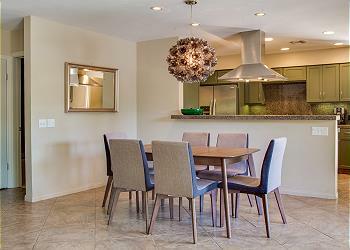 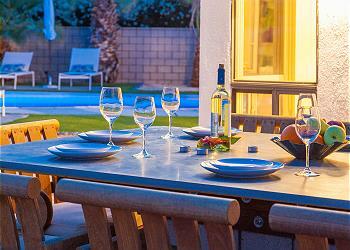 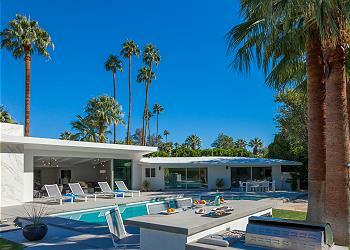 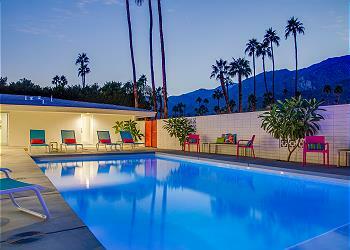 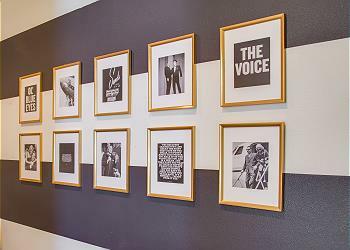 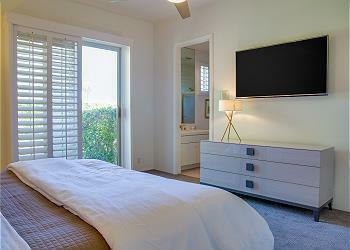 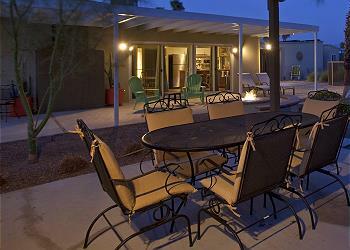 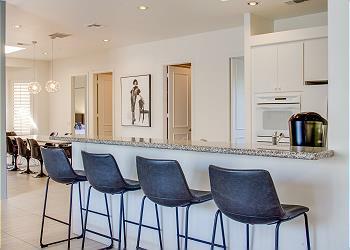 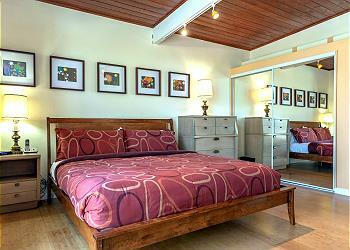 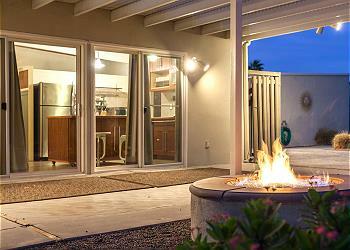 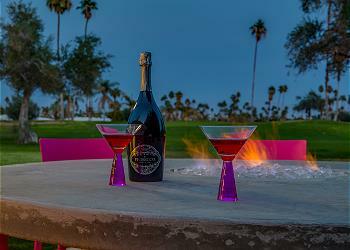 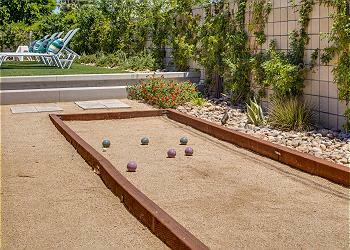 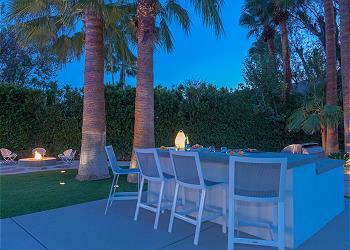 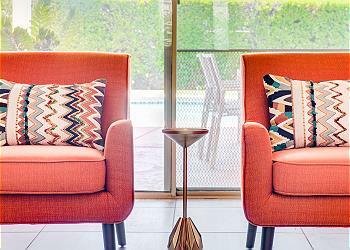 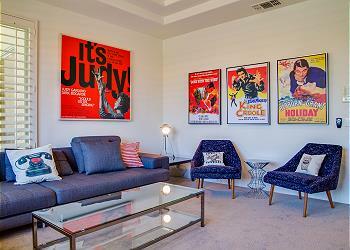 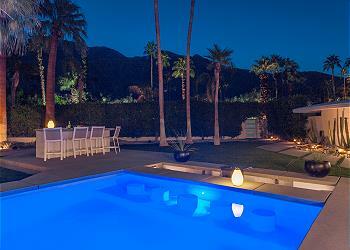 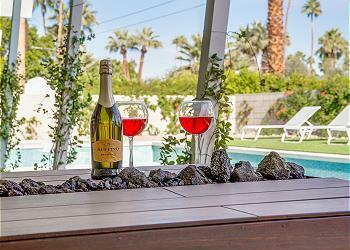 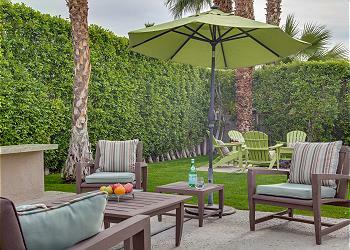 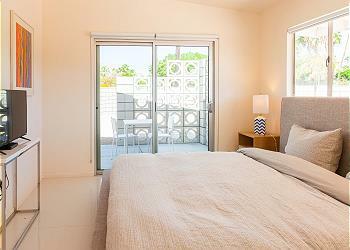 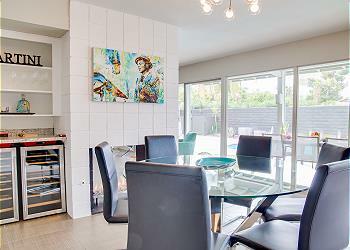 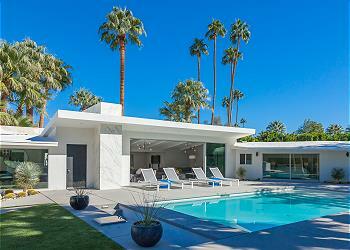 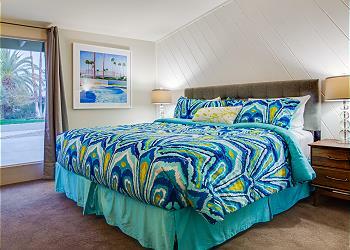 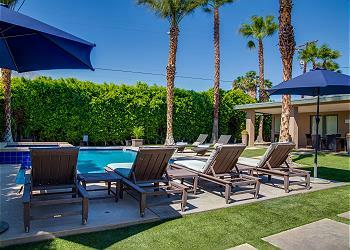 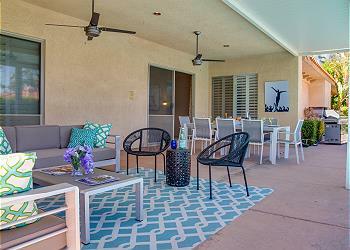 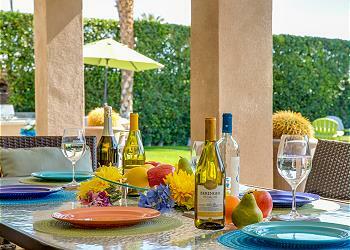 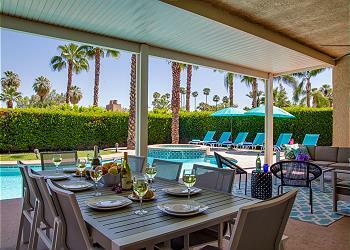 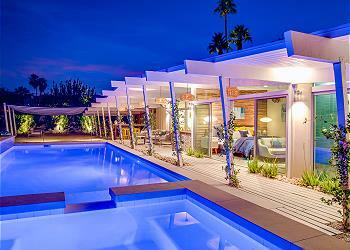 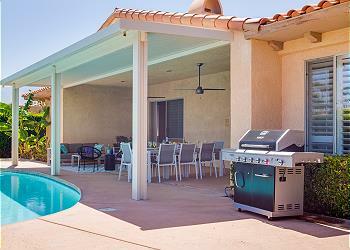 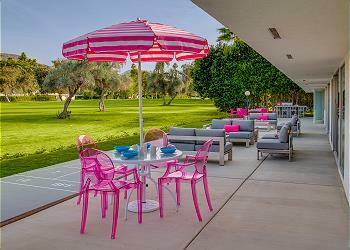 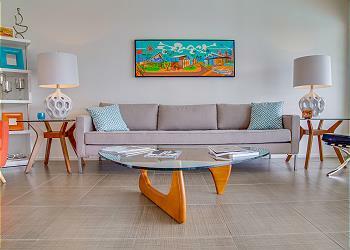 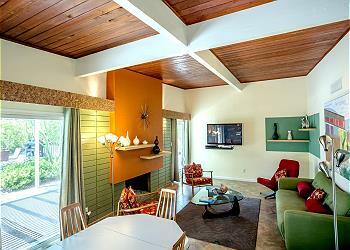 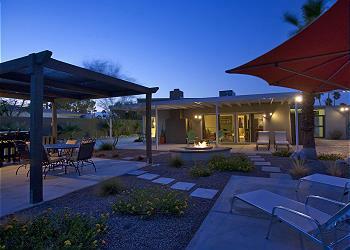 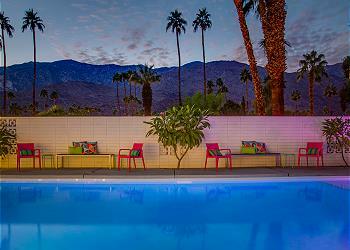 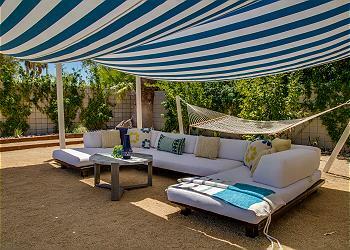 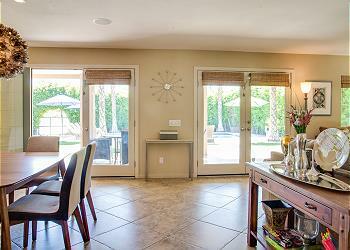 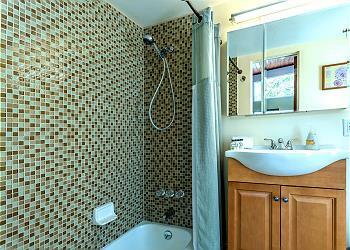 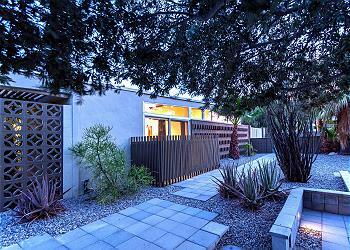 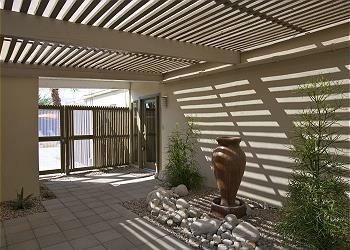 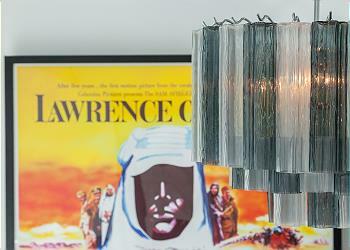 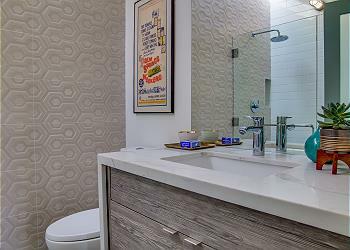 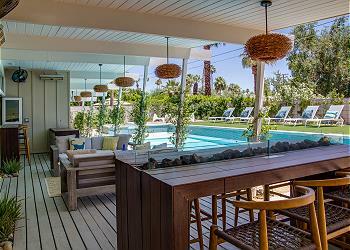 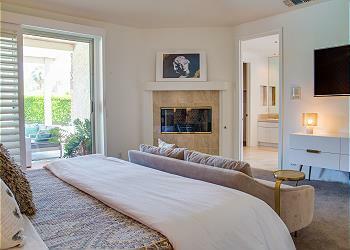 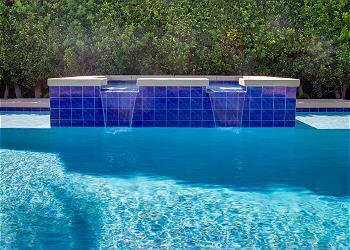 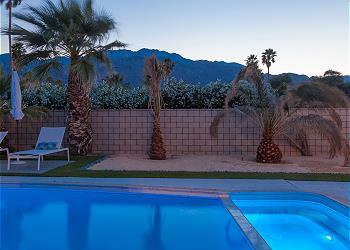 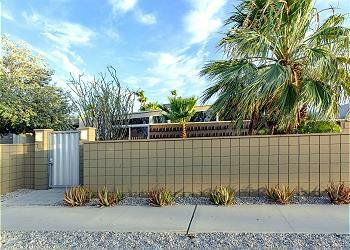 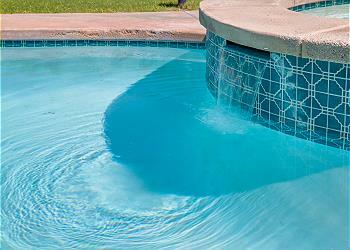 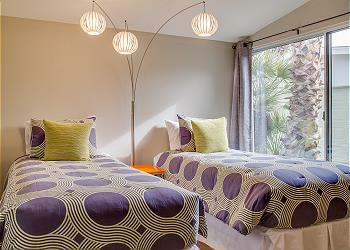 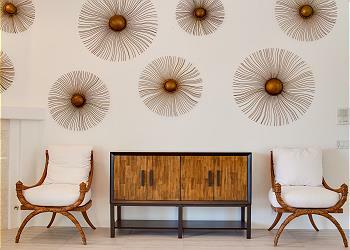 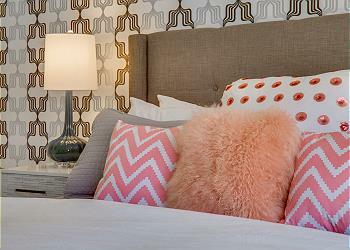 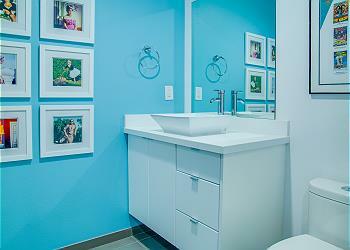 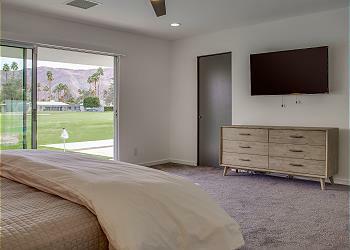 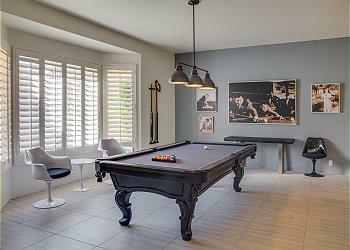 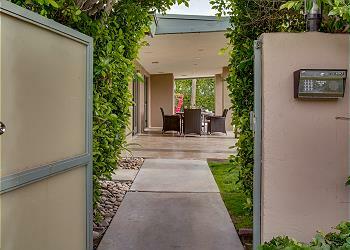 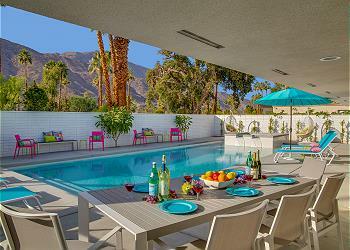 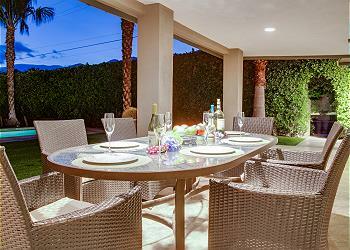 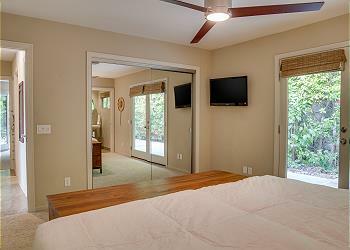 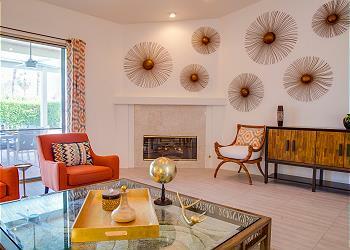 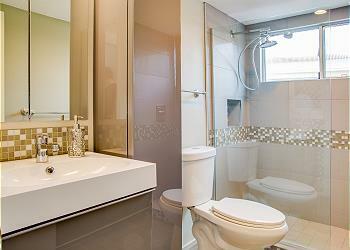 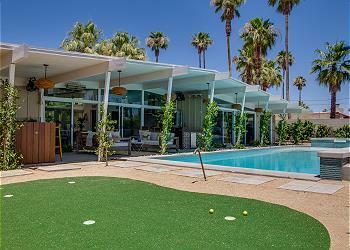 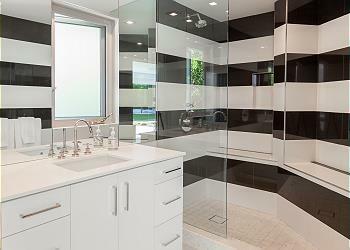 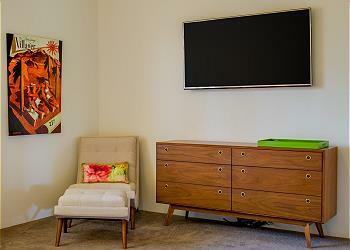 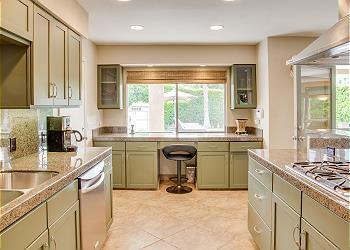 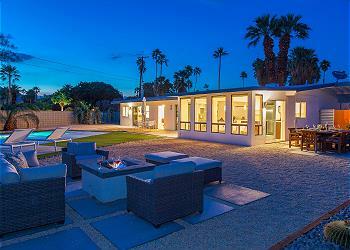 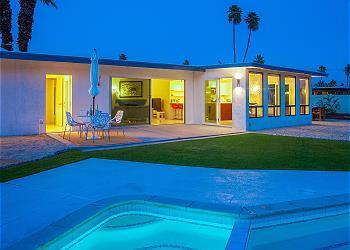 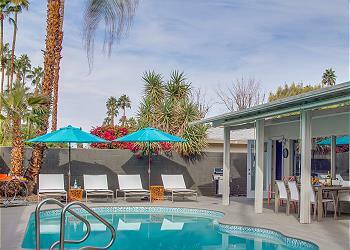 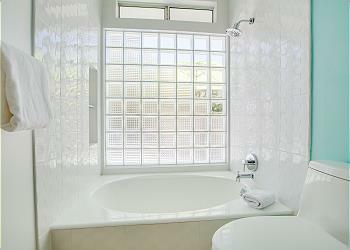 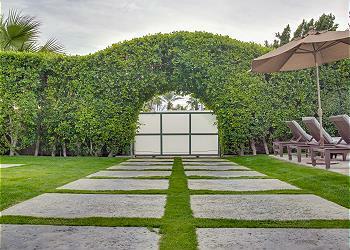 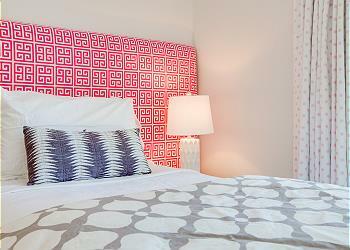 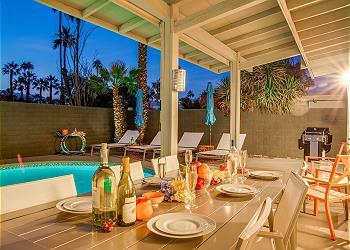 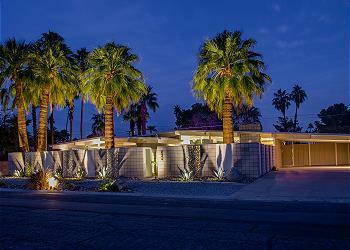 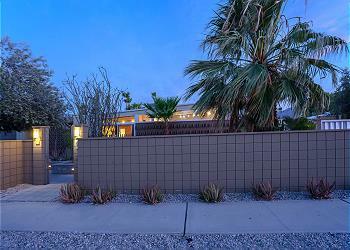 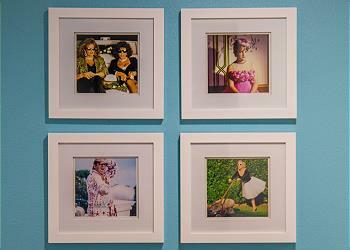 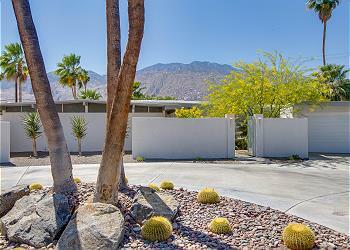 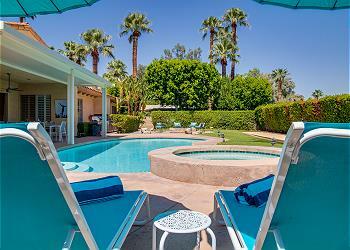 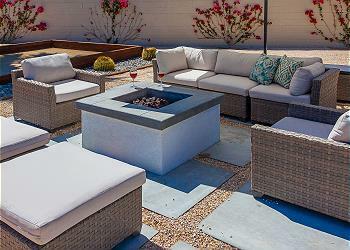 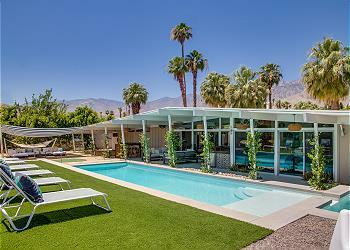 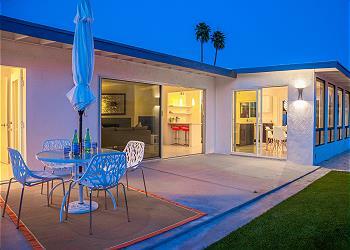 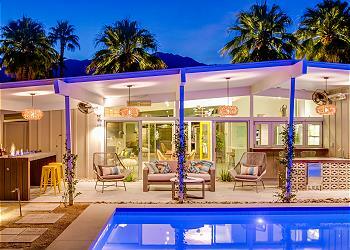 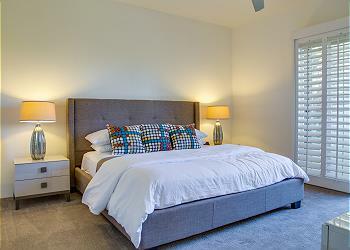 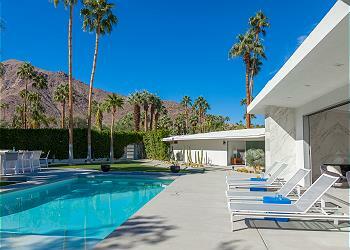 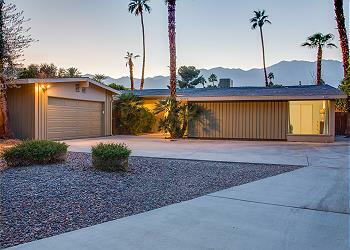 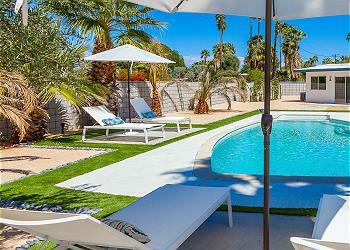 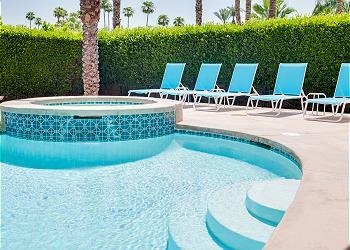 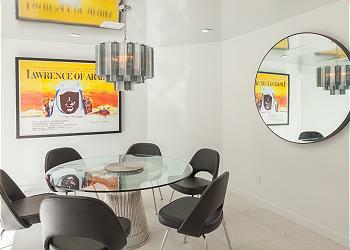 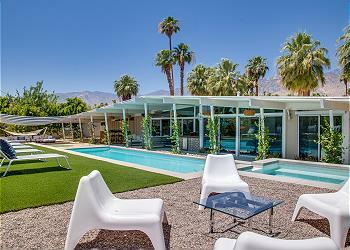 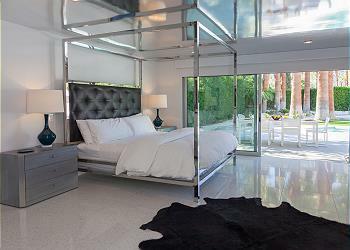 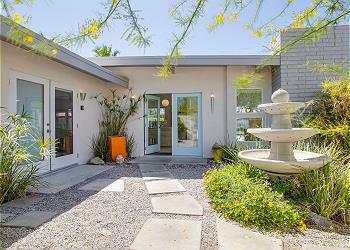 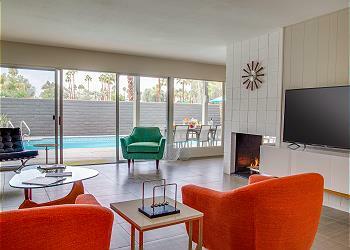 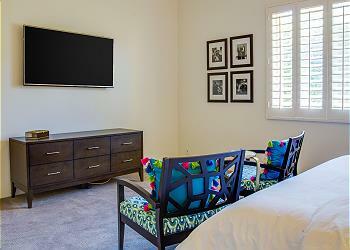 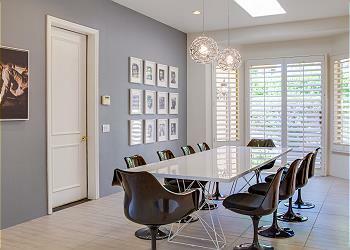 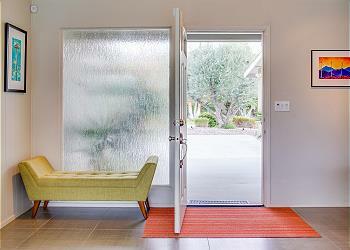 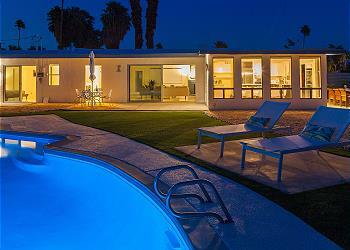 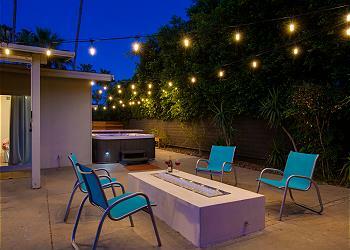 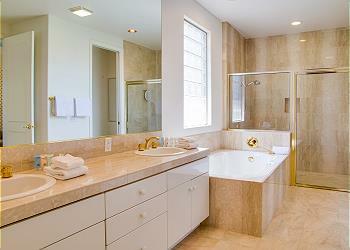 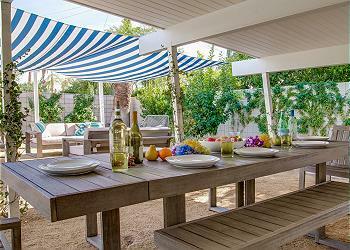 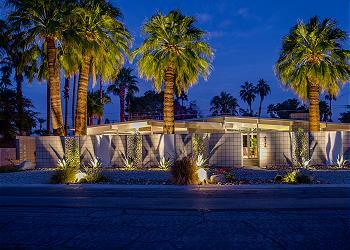 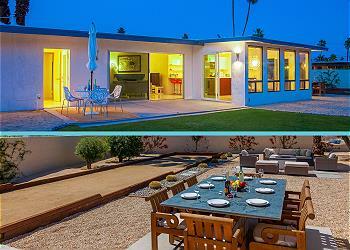 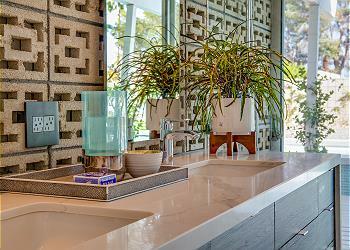 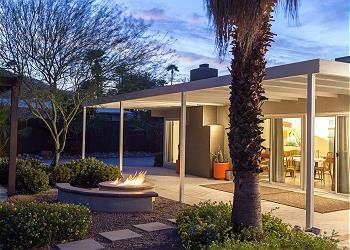 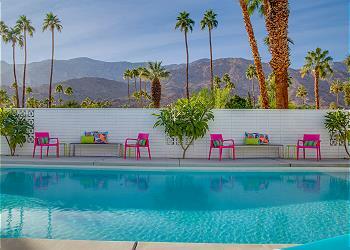 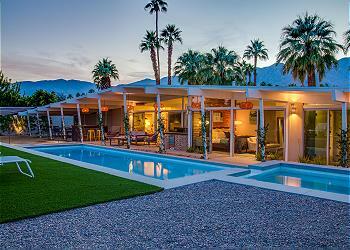 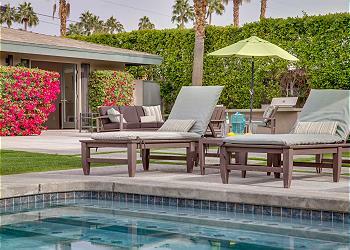 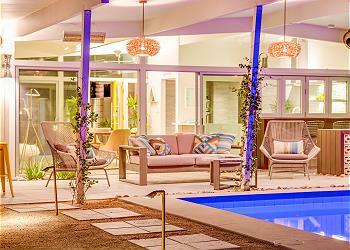 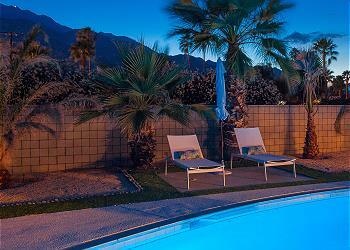 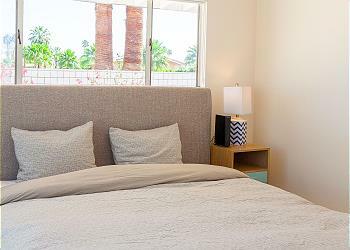 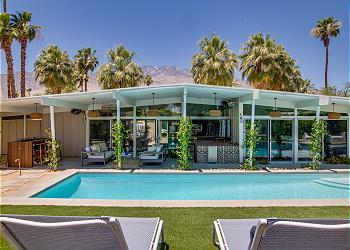 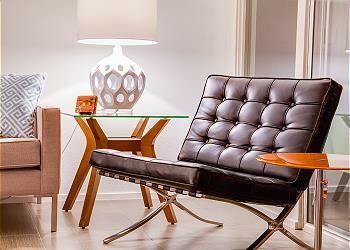 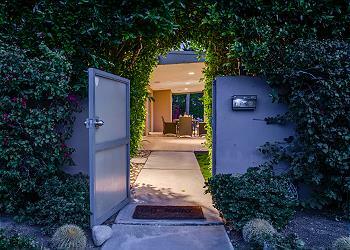 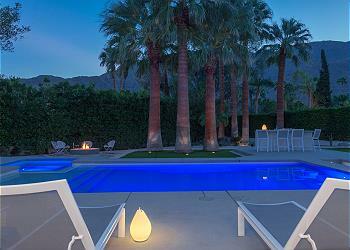 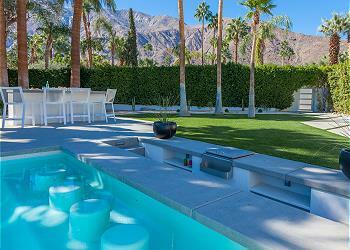 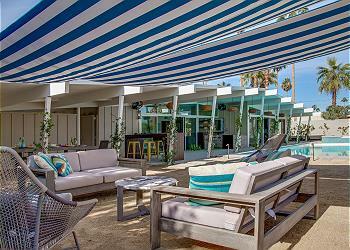 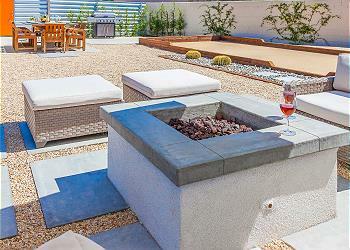 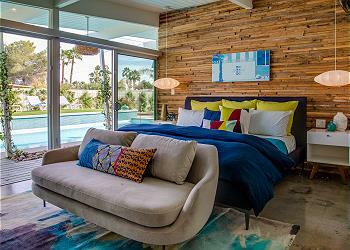 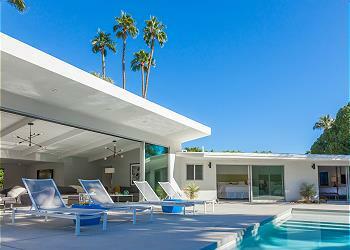 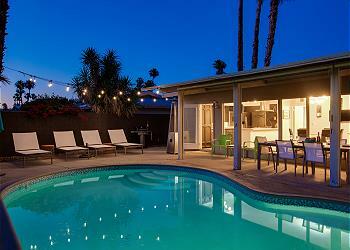 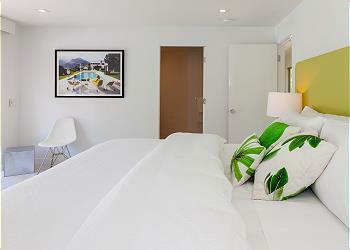 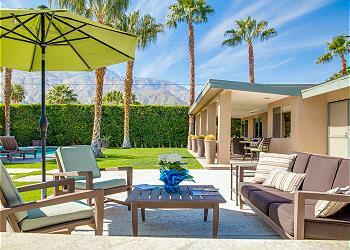 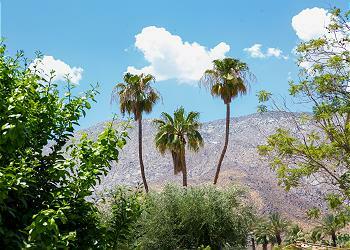 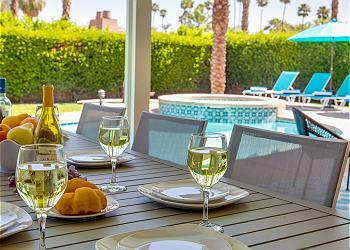 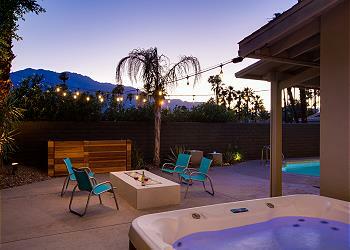 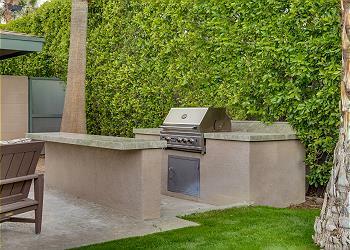 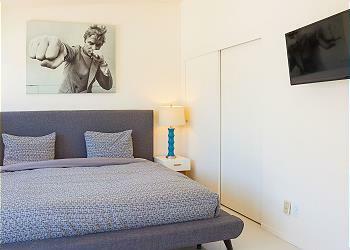 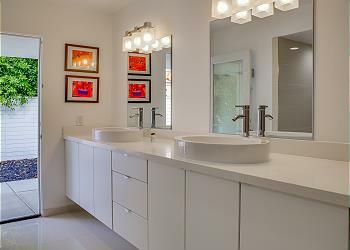 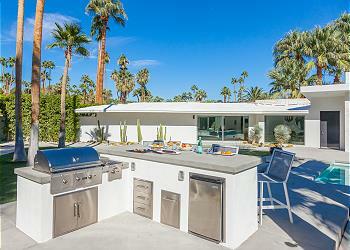 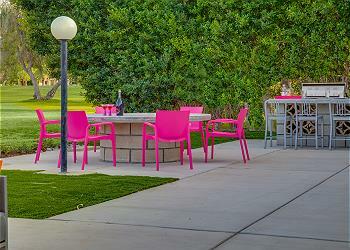 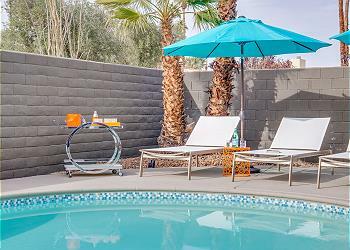 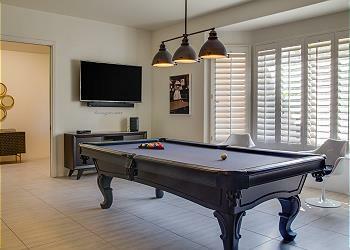 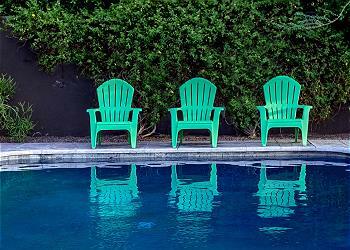 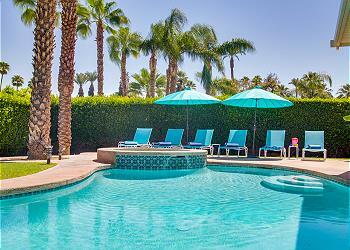 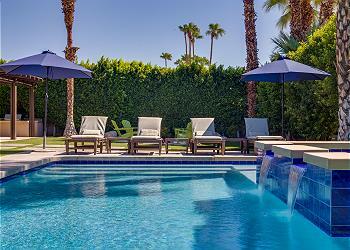 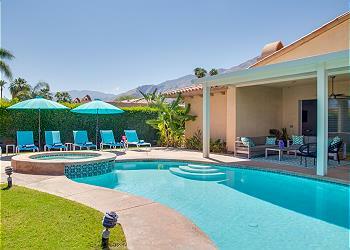 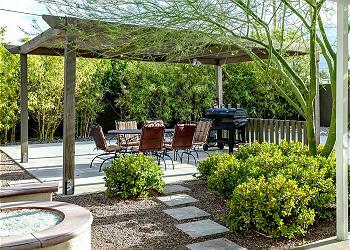 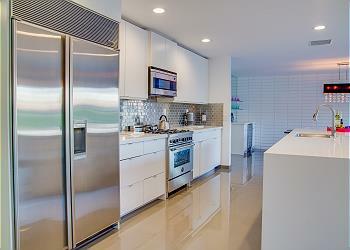 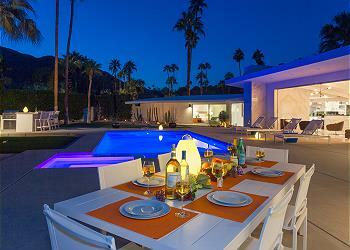 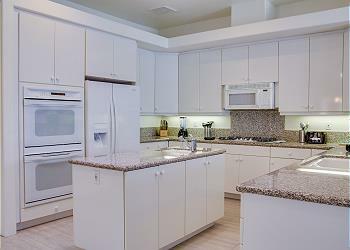 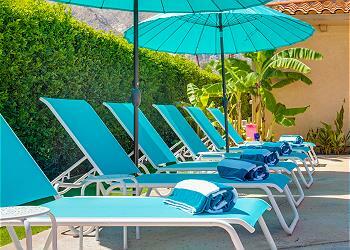 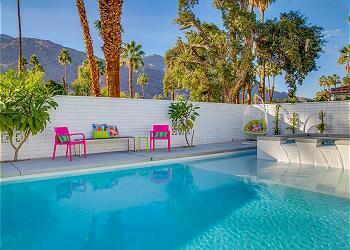 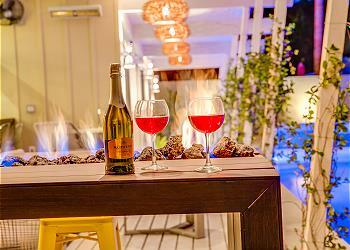 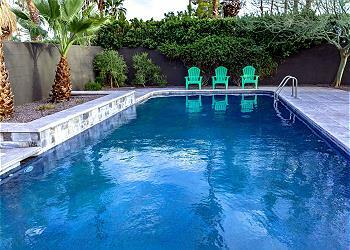 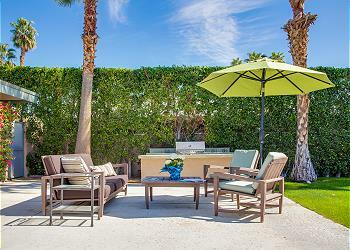 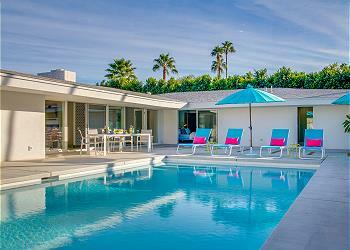 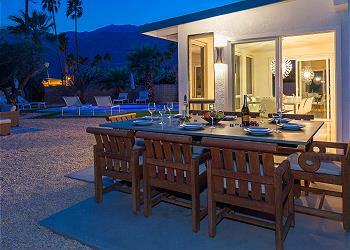 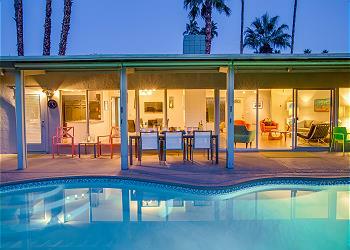 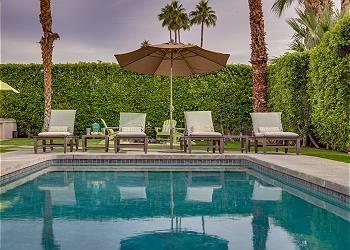 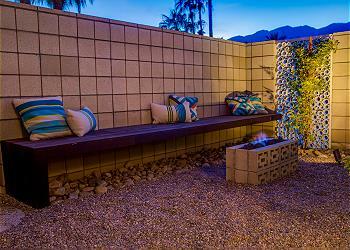 Or find your home away from home within walking distance of Downtown Palm Springs and all that the city has to offer. 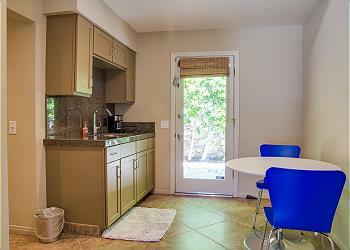 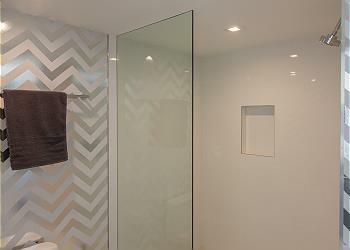 Inside, our properties function as a haven for you and your pet. 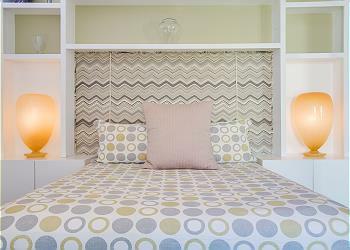 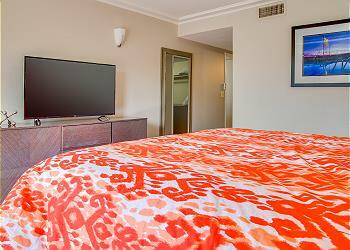 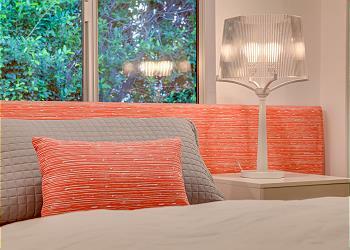 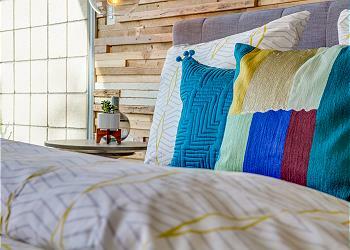 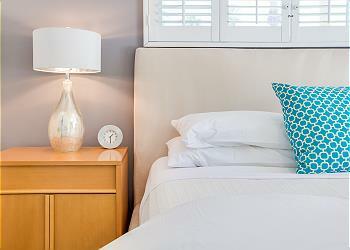 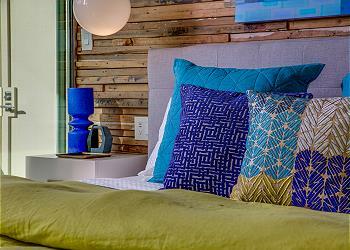 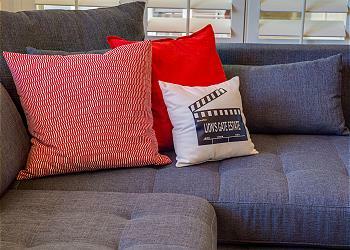 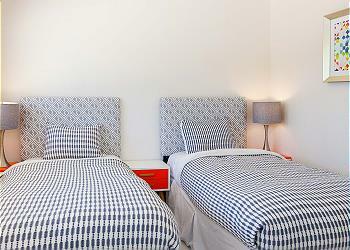 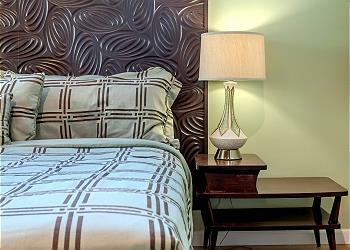 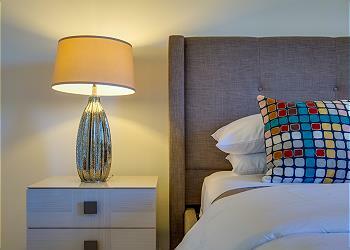 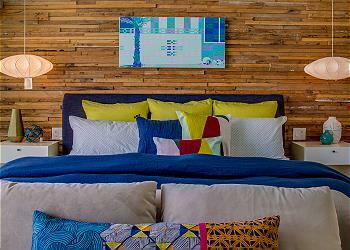 Plush furnishings and beds ensure that you and your most important guest are always comfortable. 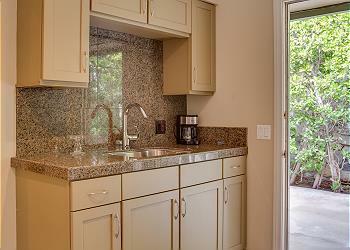 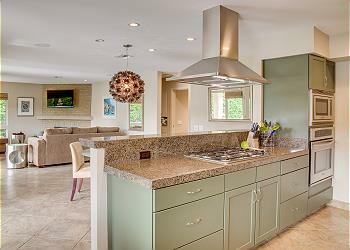 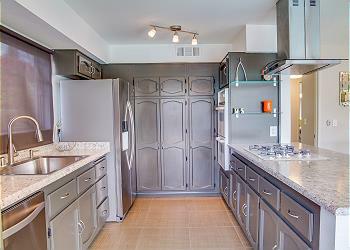 Full-sized gourmet kitchens give you control over preparing snacks for your dog. 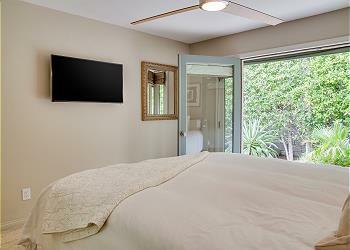 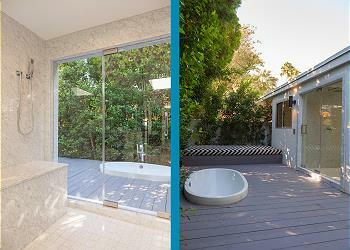 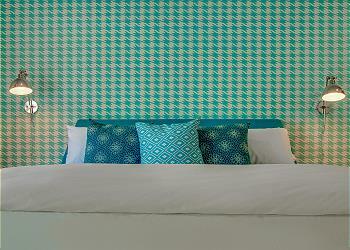 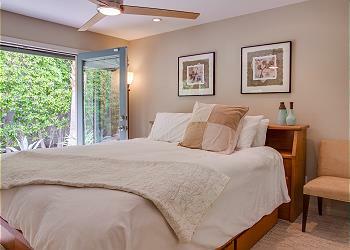 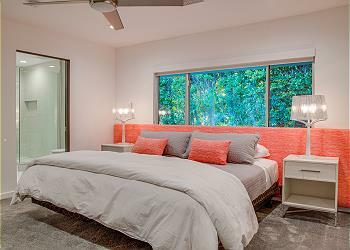 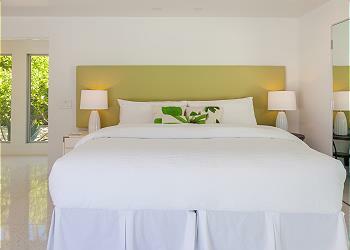 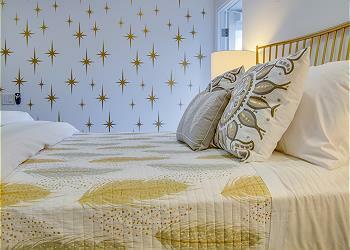 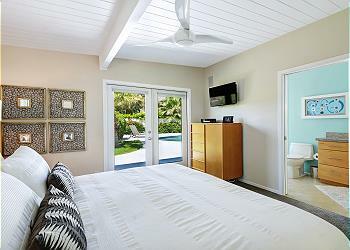 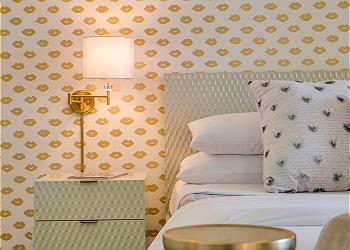 And airy private bedrooms serve as your private sanctuary for rest and relaxation. 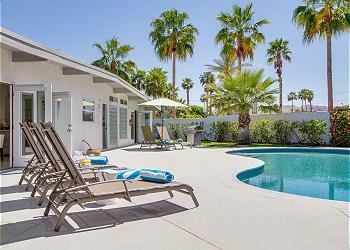 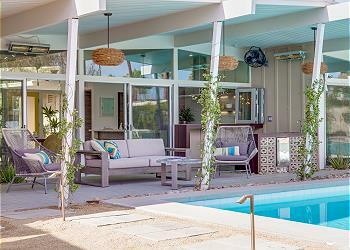 Wherever your days in Palm Springs take you, you and your dog will enjoy the best of Palm Springs with our Palm Springs pet friendly vacation rentals! 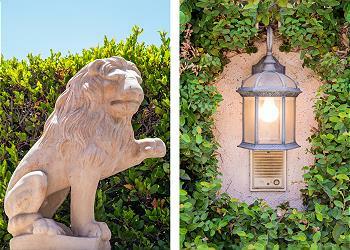 At Acme House Co., we cater to visitors of all kinds—including our fuzzy and four-legged family members! 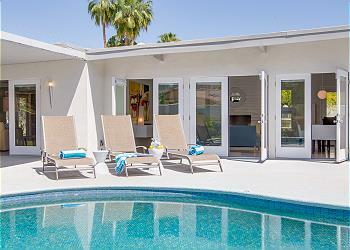 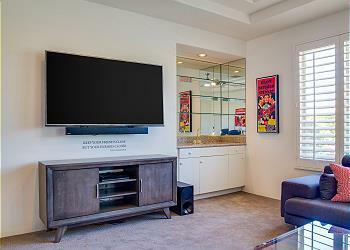 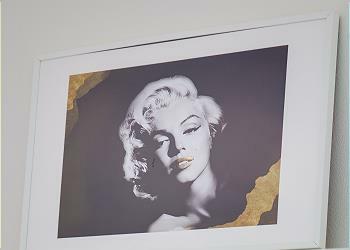 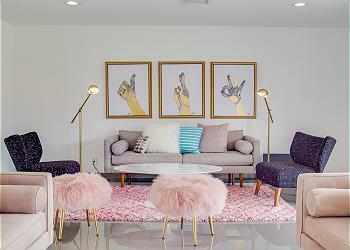 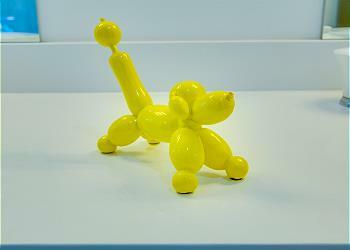 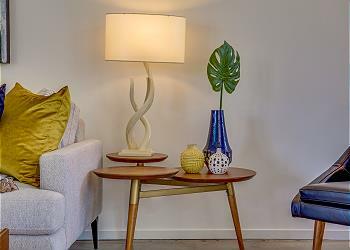 Call or email our office today to ask about what Palm Springs has in-store for you when you reserve your stay in one of our fantastic pet friendly Palm Springs vacation rentals!